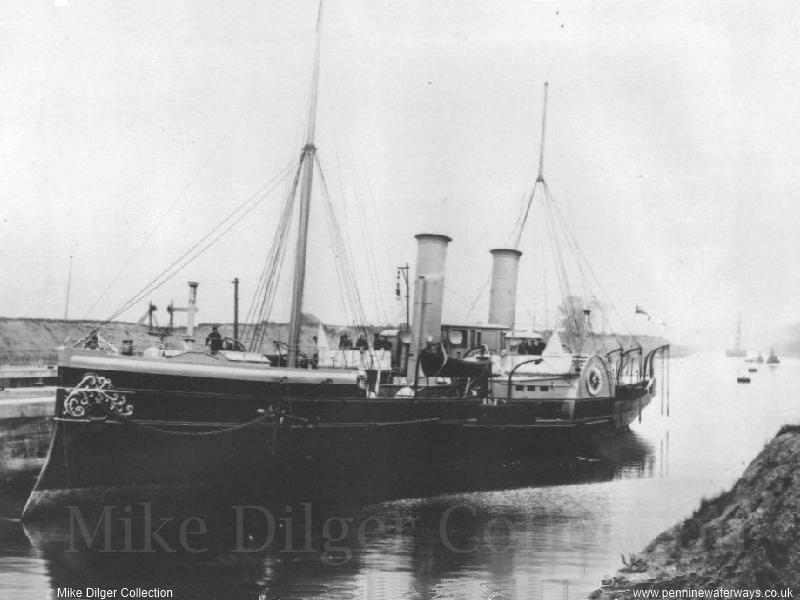 Queen Victoria's Royal Yacht "Enchantress" at Eastham, possibly in 1894. 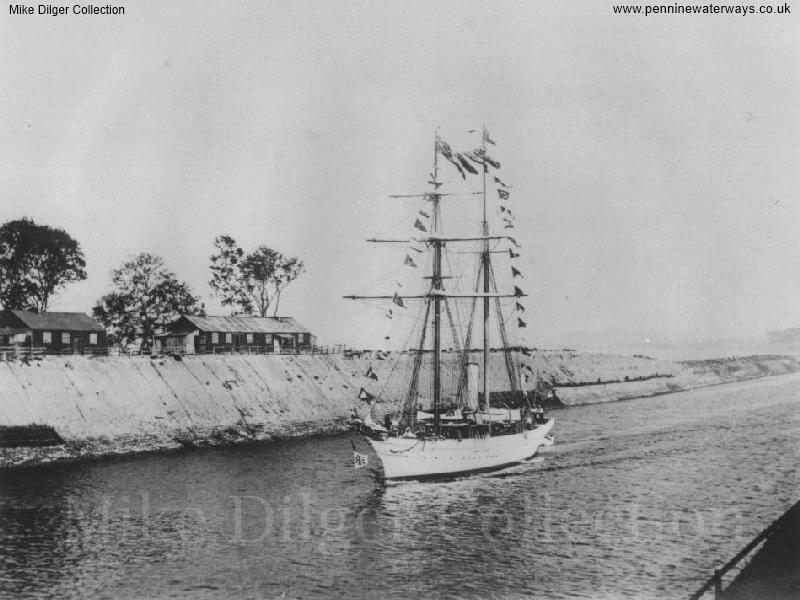 The Chairman's yacht makes the first journey along the ship canal in 1893. 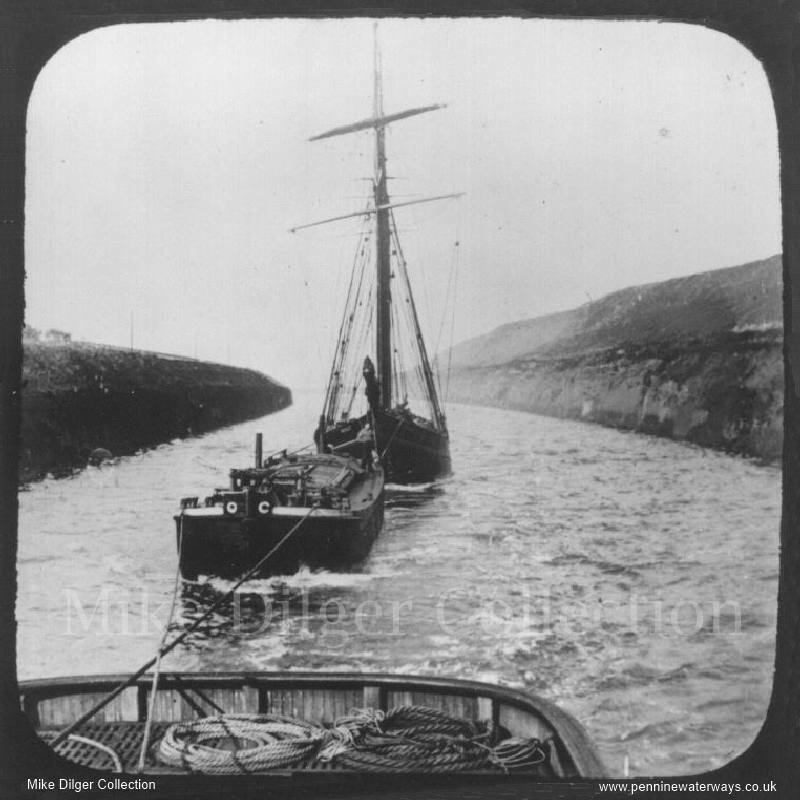 Believed to be the Runcorn and Weston Canal, west of Runcorn Docks, running parallel with the ship canal and connected to it by locks. 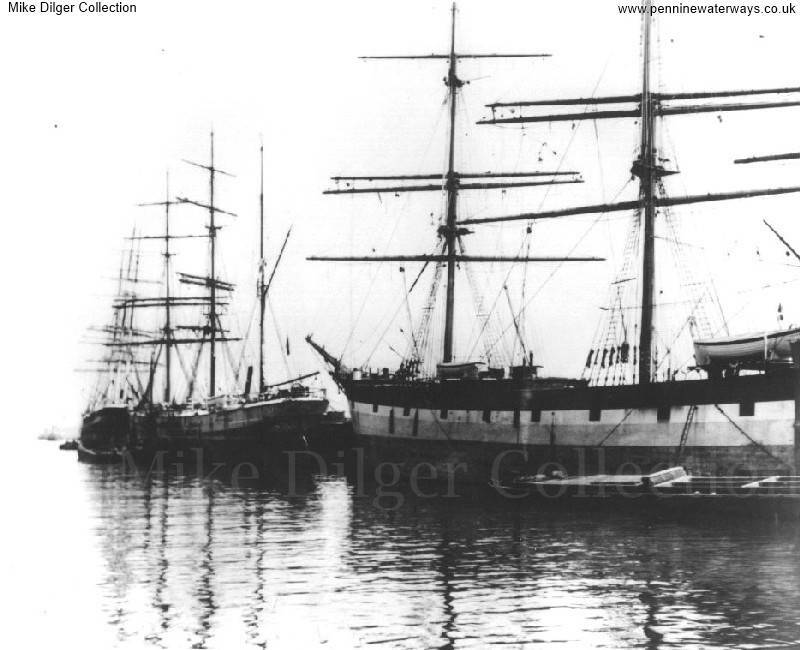 Sailing ships moored alongside the ship canal. 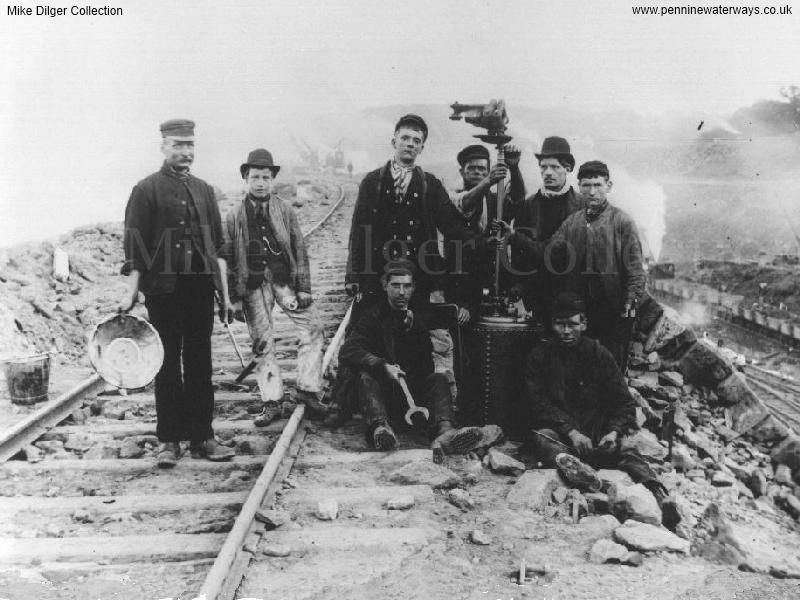 Workers posing with surveying equipment and other items. Note the rail track to the left, along the edge of the workings, and the track to the right, along the bed of the canal. 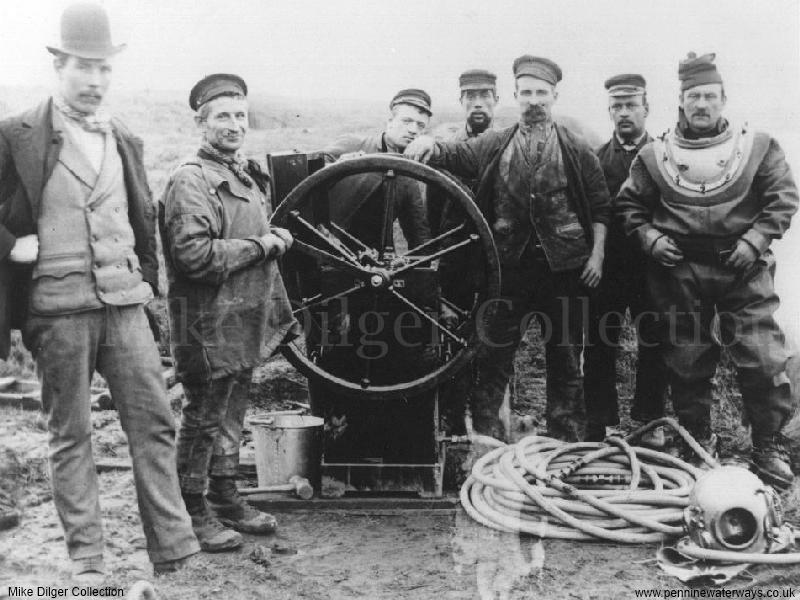 Group of men, including a diver, pose with a piece of equipment (a pump?). The diver was Alexander Richardson who was was born in Peebles, Scotland, about 1854, and died in Eastham, Cheshire, in 1941. In census records his occupation is given as Submarine Engineer. 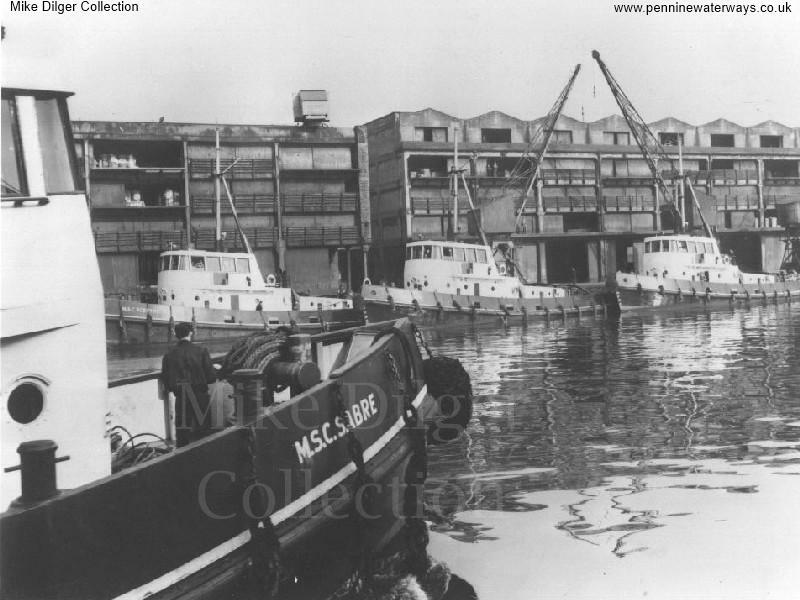 Before coming to work on the construction of the Ship Canal he had worked on the Forth railway bridge. Photo: Mike Dilger Collection. Thanks to Stuart Fraser for the information about Mr Richardson, his great-grandfather. 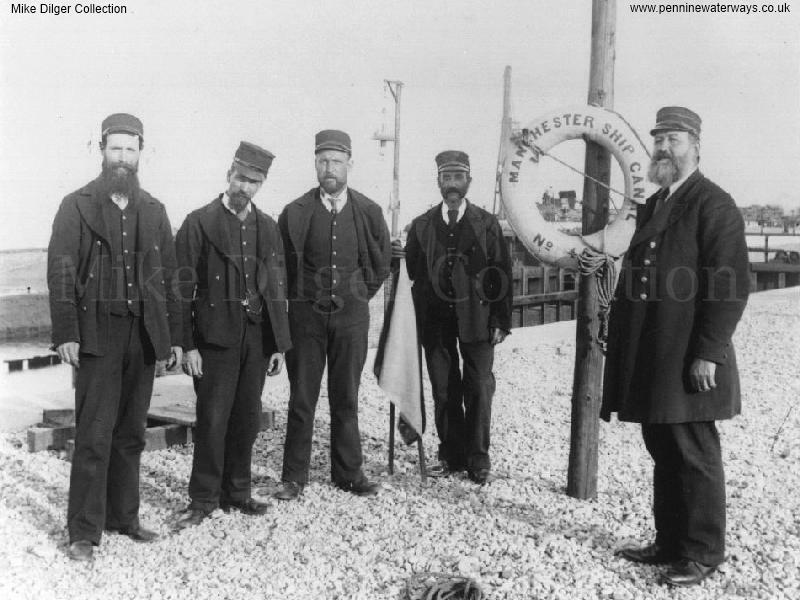 Possibly the harbour master and lock keepers at Eastham Locks. 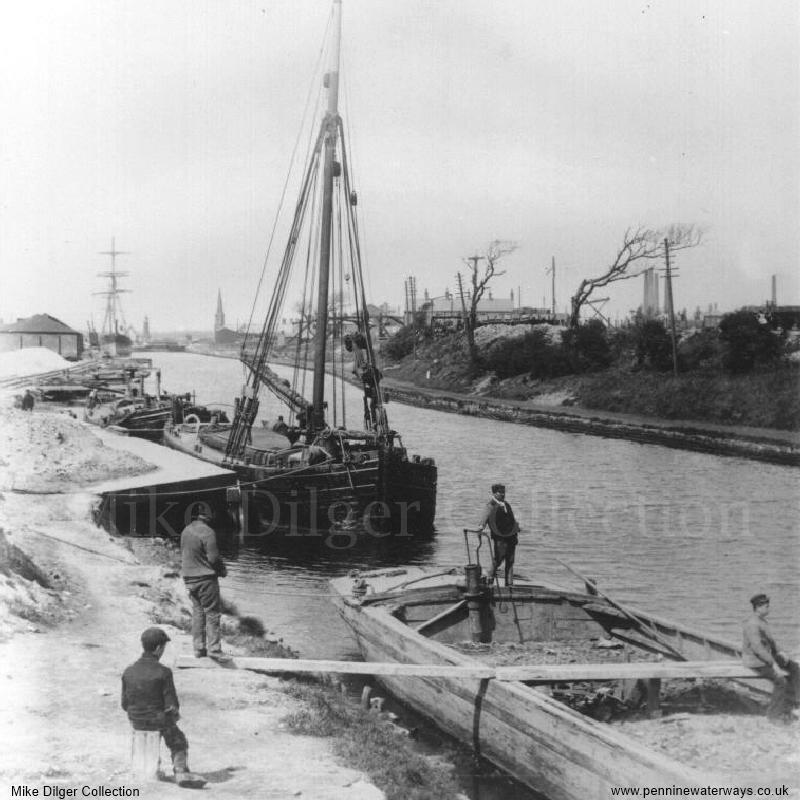 Ship Canal tugs at No. 8 Dock, Salford. 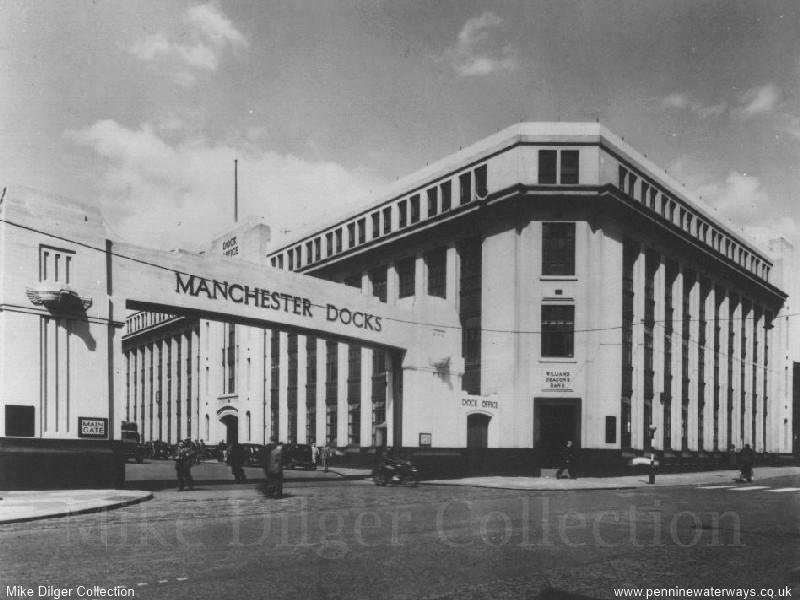 The entrance to Manchester Docks.